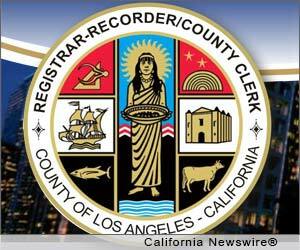 LOS ANGELES, Calif. /California Newswire/ — Today, the Los Angeles County Registrar-Recorder/County Clerk (RR/CC) is kicking off the design phase of the Voting Systems Assessment Project (VSAP) — an unprecedented endeavor to modernize and streamline the voting system for the largest electoral jurisdiction in the United States. In collaboration with IDEO, a global design and innovation firm, the RR/CC is entering the design phase of the project on April 16. The process consists of feasible voting system design concepts focused on how voters interact with the voting process. The models are expected to be completed this summer. After a period of review and refinement, the next step will be to select a preferred model and move into creation of prototypes that can then be field tested. RR/CC, which launched VSAP in 2009 to modernize the County’s 30-year-old voting system, revolutionizes the way voting systems are developed and implemented for the nearly five million registered voters in Los Angeles County. The new system aims to bring an innovative and user-friendly approach to casting a ballot. The RR/CC is taking an approach that ensures greater citizen input from the academic community, public interest organizations and policy makers — an effort to increase voter confidence that is two years in the making.